Wellness Matters Videos- With Drs. Julie and Brian Bird D.C.
Click here for the Allied App! BECAUSE NECK AND BACK PAIN ARE FOR THE BIRDS! Drs. Julie and Brian Bird D.C.
New Patients Will Receive a FREE Conversational Health Screening*. Sign-up using the form or call us at (618) 529-5172 to take advantage of this exclusive offer. and Rehab of Southern Illinois. Serving Carbondale, Murphysboro, Desoto, Anna, Carterville, DuQuoin, Elkville, Hurst, Herrin and Southern Illinois for over 21 years! THE ILLINOIS CHIROPRACTIC SOCIETY NAMES DR. JULIE BIRD RECIPIENT OF THE PRESTIGIOUS 2016 CHIROPRACTIC PHYSICIAN OF THE YEAR AWARD. 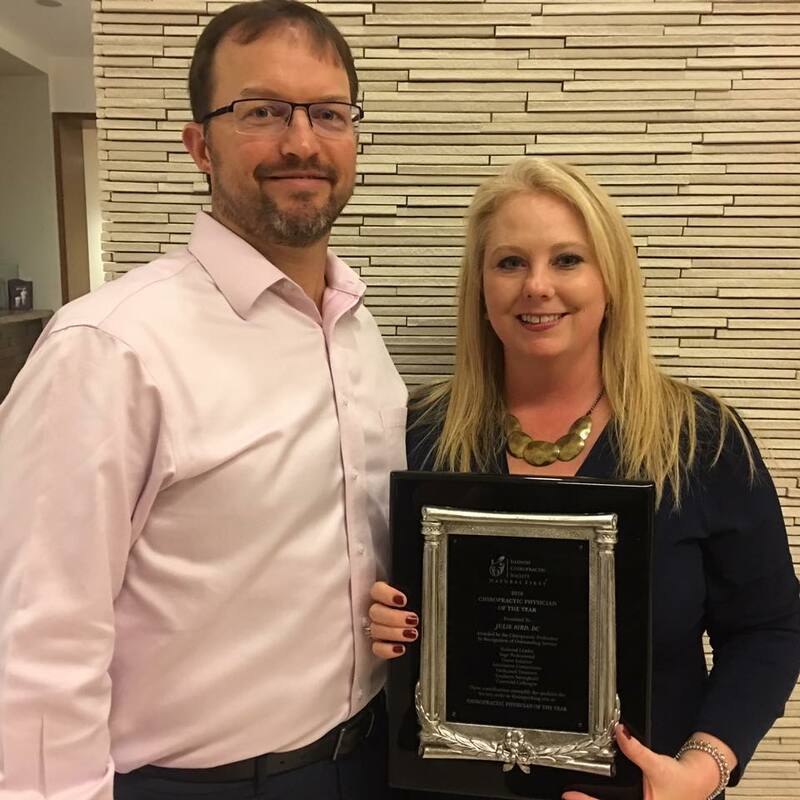 The Illinois Chiropractic Society (ICS) has recently announced Dr. Julie Bird, DC as recipient of the 2016 Chiropractic Physician of the Year Award. This award is the most prestigious award given to a chiropractic physician in the state of Illinois. Dr. Bird, a practitioner in Carbondale and co-owner of Allied Physicians and Rehab of Southern Illinois, SC, was selected for her visionary leadership and motivated contributions in the chiropractic profession in Illinois, nationally, and globally. Dr. Bird has proven to be a stand out in her field and is passionately dedicated to the outstanding treatment of her patients. Dr. Bird grew up in Centralia and Sandoval, IL. Upon graduating from Palmer College of Chiropractic in Davenport, Iowa, Dr. Julie Bird and her husband, Dr. Brian Bird D.C. returned to southern Illinois. Together in 1995 they opened a chiropractic and wellness facility that provides, chiropractic, massage therapy, and physical therapy in Carbondale, IL. In addition to her abilities and her efforts in her profession, Dr. Bird has volunteered with a large number of organizations in her community. Globally, she and Dr. Brian Bird volunteered for a chiropractic medical mission trip in 2014 with CHIROMISSION, where she served as a chiropractic volunteer in places such as a psychiatric facility, Haitian villages, several local schools, and in a children’s home with severely disabled youth. The Illinois Chiropractic Society (ICS) stated that Dr. Bird has made time to serve on the Illinois Chiropractic Society board since 2001 including serving as President in 2013 and 2014. She led the board through a refocus and movement towards increasing chiropractic utilization. Dr. Bird currently serves as the Illinois Representative to the Congress of Chiropractic State Associations. Our chiropractic office is located at 1100 West Main Street, in beautiful Carbondale, IL. There's nothing we want more than to be able to contribute to your health and well-being. We have been serving the families of Southern Illinois for over 21 years. Our patients are from Carbondale, Murphysboro, Desoto, Anna, Carterville, Herrin, Marion, DuQuoin, Vienna, Elkville and many other towns around Southern Illinois. Are you living in pain? 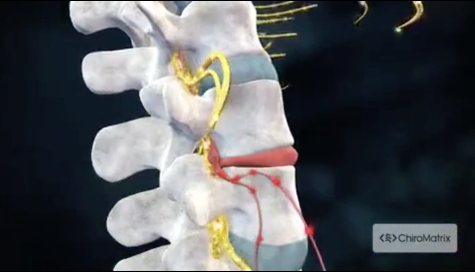 Are you suffering from major, chronic pain in your back, your legs or your neck? Are you constantly bothered with the nagging aches and pains we all seem to develop just from living life? Do you get headaches more than 1 time every three months? You can come in, discuss your problem with us and find out whether we can help you with the natural healing techniques of chiropractic care. All for free. Chiropractic treatment may be able to help. In fact, you might be surprised at the range of ailments and illnesses that may be improved through chiropractic treatment. Did you know for example, that chiropractic treatment can sometimes help with chronic headaches and migraines? Did you know that chiropractic treatment can help with Carpal Tunnel Syndrome? So if you are living in pain, our question to you is, "Why?" Call us today at (618) 529-5172 to set up your free conversational health screening. Find out how chiropractic care can help you live a healthier, more comfortable life. Patients seeking chiropractic treatment at Allied Physicians and Rehab of Southern Illinois can be assured that the most modern, up-to-date techniques are being utilized to facilitate their overall health and wellness goals. Drs. Brian and Julie Bird and staff, look forward to providing you with excellent service and natural health care through chiropractic treatment and therapy. Brian Bird D.C, Julie Bird D. C.
"I feel energetic and good when I wake up in the morning. No more stiffness. I can see the light at the end of the tunnel to being healthy and having a strong back! ***** 5 Stars"
Very courteous, helpful and focused group. All focused on helping patients with specific goals. Office works well as a team! I appreciate all your help in improving my health. Thank You! ***** 5 stars"
"I have already made progress in just a couple of weeks. I wasn't exercising because of a problem with my shoulder and I am now able to exercise again. The Staff is wonderful and caring. I also appreciate the rehab portion of the treatment. ***** 5 Stars"